Long Island, NY, is an iconic part of the United States, and is often the first thing that people think about when chasing the American Dream. At RestorationMaster, we aim to keep this perception alive by providing state-of-the-art disaster restoration and cleaning services in your time of need. New York is known for getting hit with powerful nor’easters, chilling blizzards, and other events that can lead to significant property damage. When outdoor elements make their way inside your building, the need for professional restoration and sanitization services cannot be understated. We assist with all of these situations, and more. From Montauk to Manhattan, NY, we have you covered. RestorationMaster is a leading provider of water damage restoration services in Long Island, NY. We employ a three-phase approach to structural drying and restoration to ensure that all water and moisture is removed, and damaged materials and items are repaired. From Montauk to Manhattan, NY, we offer this service on a 24-hour basis in order to respond when you need assistance the most. 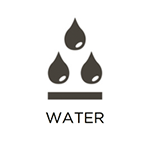 In cases of water damage, a rapid response is critical. Residential and commercial property owners in Long Island, NY, are exposed to a number of events that can lead to flood damage. When your building is flooded, we encourage you to contact our RestorationMaster representatives as quickly as you can to take advantage of our 24/7 flood damage cleanup services. We will remove all excess water and moisture from your property, fix the initial cause of the problem, and restore salvageable belongings and assets. We proudly operate anywhere from Montauk to Manhattan, NY. 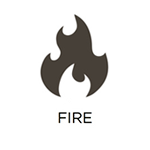 From Montauk to Manhattan, NY, we provide comprehensive fire damage restoration services here at RestorationMaster. Our specialists understand the nature of fires as well as how to respond to their effects (this includes harmful smoke and soot). We provide emergency pre-cleaning services to reduce the likelihood of permanent damage setting in and do everything in our power to return your property to its original condition. We are available 24/7 and are proud to assist property owners across Long Island, NY from Montauk to Manhattan. Through our smoke and soot puffback cleaning services here at RestorationMaster, we help property owners in Long Island, NY prevent permanent damage from taking hold, and return their property to normal. Our technicians utilize advanced sanitization solutions and methodologies to safely and effectively treat even the most sensitive of materials. Whether your walls, ceilings, furniture, or air spaces need treatment, we are more than happy to assist. We even address items such as reconstruction and painting. If you live anywhere between Montauk and Manhattan, NY, and your building has suffered from smoke or soot exposure, we are more than happy to help. RestorationMaster is a leading provider of mold remediation services across Long Island, NY, from Montauk to Manhattan. Our technicians understand the dangers of mold, and how it spreads. We even work with third party specialists to accurately locate all instances of hidden mold growth. 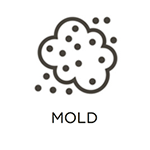 Once these areas have been identified, we will create and implement a customized mold removal plan to eliminate it from your building. We perform secondary checks to ensure that your property has been returned to a safe and sanitary condition. According to the EPA, on average, indoor air quality is two to five times more polluted than outdoor air. To improve your indoor air quality, we encourage you to take advantage of our air duct cleaning services here at RestorationMaster. We will clean your air ducts, vents, and HVAC system components by removing harmful allergens and debris (such as pollen and dust). This not only improves your indoor air quality, but lowers your electricity bills, as well, by improving the efficiency of your HVAC system. We offer these services to property owners in Long Island, NY, from Montauk to Manhattan. From Montauk to Manhattan in Long Island, NY, RestorationMaster is a premier provider of carpet cleaning services. We perform these services in both residential and commercial settings and provide a level of cleaning that simply cannot be matched through the use of standard vacuums. We utilize professional-grade equipment and techniques to remove deeply embedded debris and treat problem stains. Our goal is to make your carpets cleaner and more presentable, and increase their longevity. There are a number of events that can damage your property in Long Island, NY, and some will inevitably affect the inner contents of your building. When this occurs, we encourage you to take advantage of our content cleaning & pack-out services here at RestorationMaster. We give your belongings the greatest odds of being fully salvaged by responding rapidly, and restoring them at one of our secure, climate-controlled facilities. We then store them until your building is repaired and deliver them safely back. We provide these services to residents in Long Island from Montauk to Manhattan, NY.